CypherCrescent, a leading E&P technology company recently donated twenty-four (24) software licences of its flagship product — SEPAL, an enterprise WRFM* collaboration software for integrated asset management, to the Institute of Petroleum Studies, University of Port Harcourt. This donation is part of the company’s initiative to promote research and development in petroleum engineering, geosciences, advanced computing and applied mathematics in tertiary institutions. In addition to this gesture, the students would be trained on the use of the software by CypherCrescent. SEPAL is a WRFM centric data curation and collaboration software. The first of its kind in the E&P industry for end-to-end Wells, Reservoirs & Facilities Management (WRFM). It integrates interpretations from core WRFM disciplines -Reservoir Engineering, Production Technology, Petrophysics, Production Geology and Well Engineering, and provides a smart environment for efficient management and analysis of well schematic/completions data, production data, well integrity data, PVT/EOS data, well performance data, material balance data and reservoir performance data from multiple wells/reservoirs in a single digital platform. SEPAL inspires WRFM best practice through the principle of integration of interpretations (IoI), democratisation of WRFM data and operationalisation of embedded analytics to eliminate inconsistencies in interpretation, automate workflows for quick opportunity identification, enhanced decision making and ultimately improve operational efficiency. While presenting the software, Mrs.Tombari Emeka-Duruzor, the Corporate Services manager of CypherCrescent, said that the software would afford the students a first-hand experience in application of innovative solutions for intelligent WRFM data analyses and integrated asset reviews for asset value optimisation. 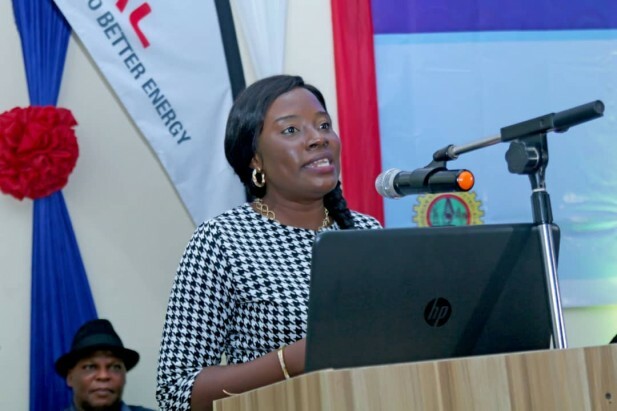 She encouraged the students to make the most of the opportunity to equip themselves with relevant skills for a successful career in the oil & gas industry. The director of the Institute, Professor Dulu Appah, expressed his profound appreciation to CypherCrescent for the kind gesture and continued support towards the growth and development of the young professionals. He also pointed out that contributions like this to the academia would make graduates more employable and significant to the oil & gas industry.